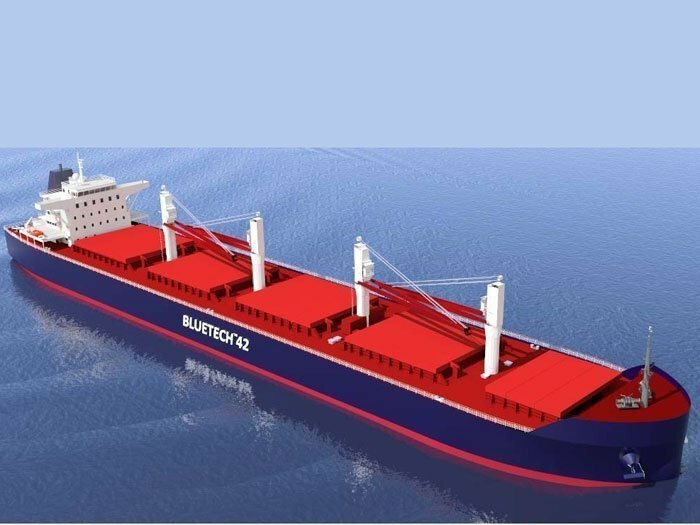 Shanghai: Navibulgar has exercised options for two more Bluetech 42 designed bulk carriers at Jiangsu Hongqiang Marine Heavy Industry. The options follow on from an order for four similar ships made by thew Bulgarian owner at the yard last August. Bluetech 42 is a design developed by Finland’s Foreship BlueTech. The 42,300 dwt ships are 185 m long and have a hold volume of 57,750 cu m, some 15% bigger than most of its rivals. Jiangsu Hongqiang Marine Heavy Industry is a shipyard located on the Yangtze river, some 68 km from Shanghai.